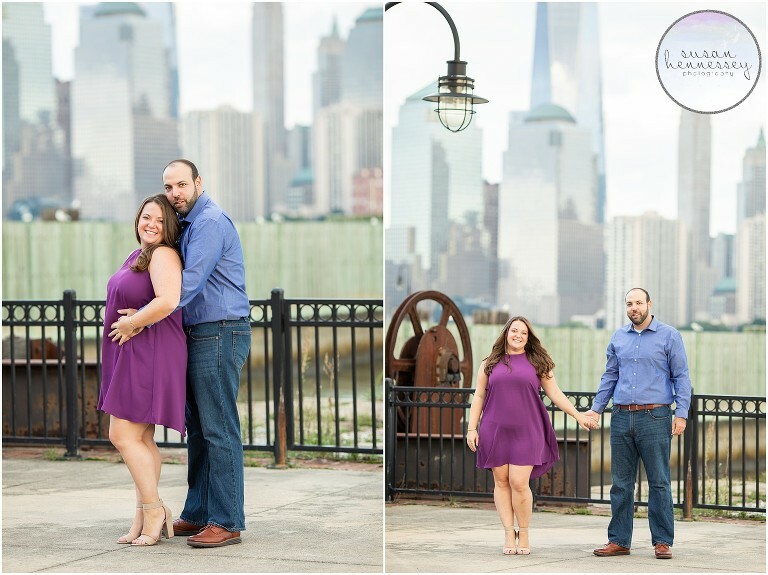 A few months ago, I photographed Jessica and Jeff’s Jersey City engagement session. Jessica and Jeff met online on Ok Cupid and Jeffrey had in his profile that he is actually his height and that he can help you get things on high shelves. Jessica messaged Jeffrey saying she was short and needed help getting things on high shelves because she usually just climbs like a monkey and the conversation just flowed from there. 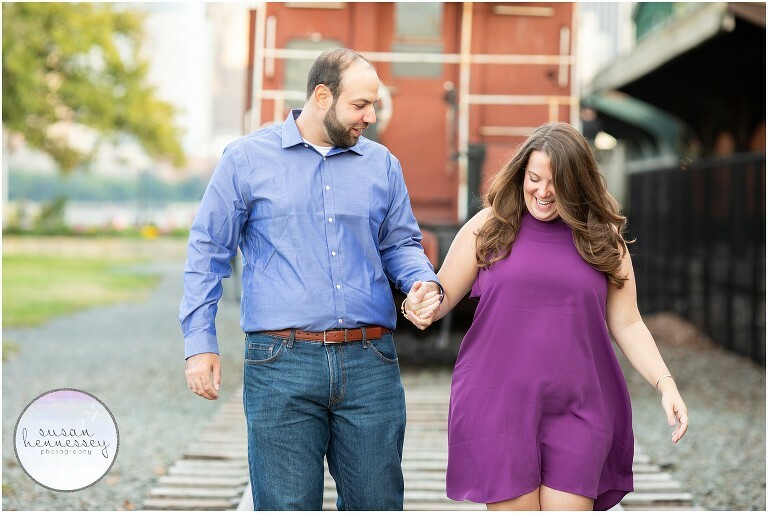 Their first date was April 26th, 2014 and Jess and Jeff walked the Brooklyn Bridge at sunset followed by pizza at Grimaldi’s under the bridge and then took the subway to Flat Iron Hall for some beers. When these two are not planning their romantic and rustic April wedding at Bear Brook Valley, they love to travel. They have been to Ireland for Jeff’s 30th Birthday, Barcelona for Jess’s 30th Birthday, Curacao for their 3 year anniversary and Costa Rica for Christmas vacation with Jessica’s Family (Where Jeff asked Jess’s Dad for his permission to marry her, Jess’s dads response – its about time!). They also love hiking, cooking and watching movies. Once married, they want to keep traveling and to have children. They talk about how Jess will teach the kids Math while Jeff makes them pancakes. Get everything done early and plan ahead so you are not stressed at the last minute or don’t have time to get or do something because you do not have time. Celebrating our love with family and friends. 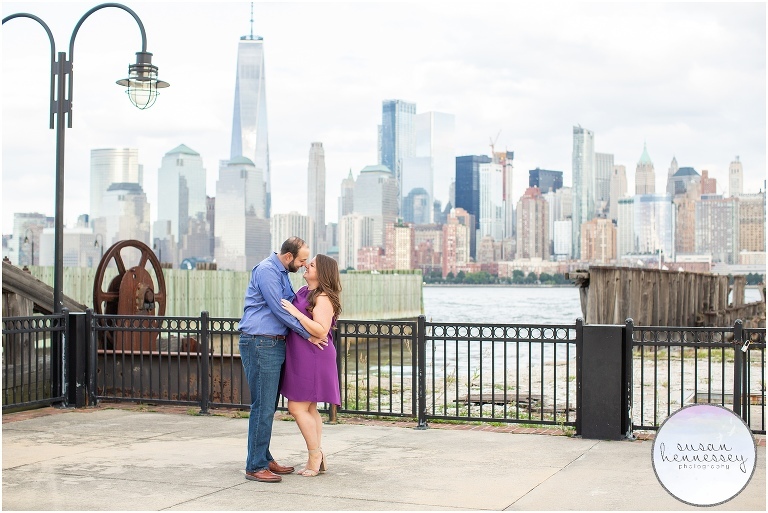 Are you planning a Jersey City engagement session and need more inspiration? 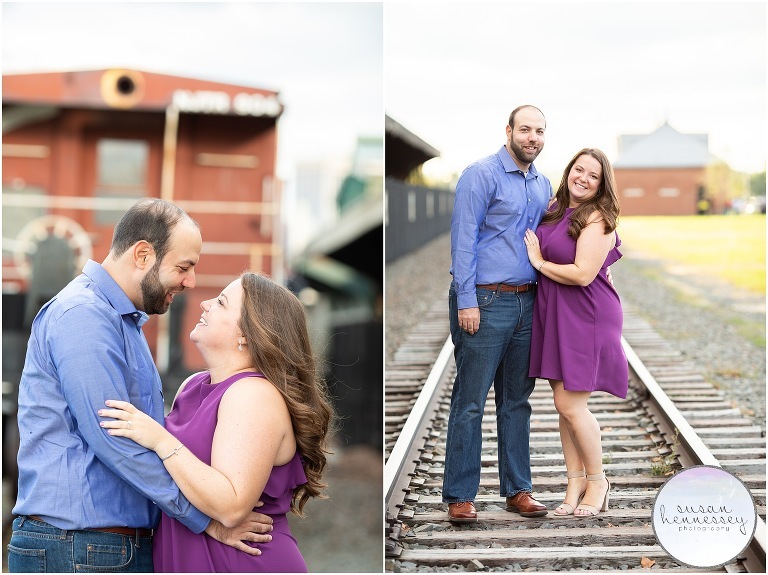 Click here to view my engagement portfolio! And if you’re ready for more info, click here to fill out my contact form.